Sweeney and Gosfield wrote the book The Art of Doing: How Super-Achievers Do What They Do and How They Do It So Well. And in interviewing some of the best of the best in various fields, they found a strong theme emerged – community. “Despite the persistent stereotype of the lone achiever, these super-achievers all believe and thrive in a strong and far-reaching community.” Guy Kawasaki, one of the luminaries interviewed for the book, calls it his ecosystem, meaning people whose success is intertwined with his own. “You can apply this theory to a rock band or a puppet shop or a billion dollar startup,” Sweeney says. A community of colleagues, employees and even competitors just might be the most critical component to not just achieving—but super achieving. If you want to become a super-achiever, find out more of the themes in Sweeney and Gosfield’s book in Meghan’s Forbes slideshow by clicking here. 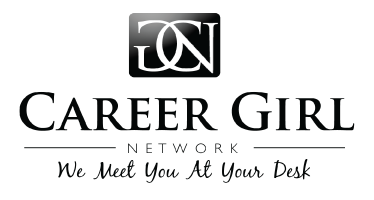 Get super, Career Girls!